This Emerald Server will be a stylish and functional addition to your dining area. The table has three drawers along the top, one center drawer, and two side doors for plenty of enclosed storage. 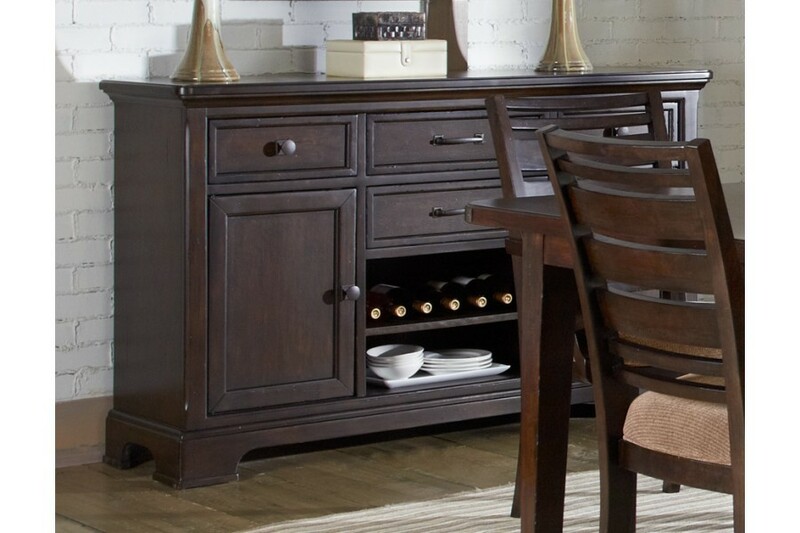 A center wine storage rack and bottom shelf adds even more convenience. This simple and rustic styled piece will complete your dining ensemble.